My ear is so firmly to the ground I'm chatting to the worms. Read here for the latest cool happenings - those funky annelids told me everything. 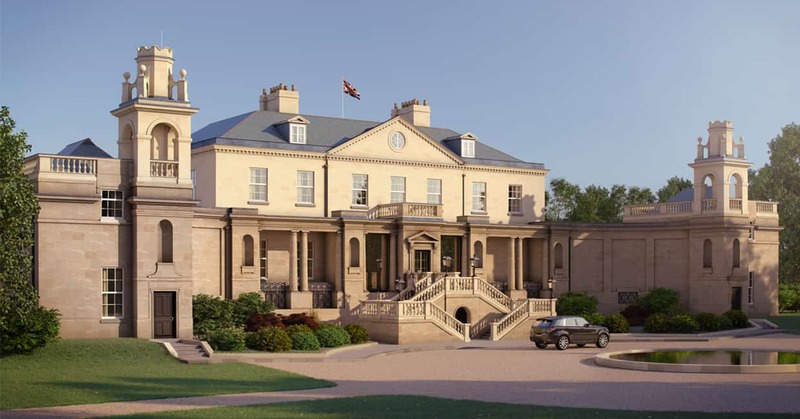 A new 41 room five star wonder boutique hotel, sister hotel to The Wellesley Knightsbridge, The Langley Hotel has a whopping 17,000 sq ft spa and fitness suite run by – who else? – Mr Celeb abs Matt Roberts – is set to open in March 2018 in South Bucks. It’s being built as I type and is promising gorgeousness in every direction and with Capability Brown gardens in the hunting lodge of the former Duke of Malborough, the chances are pretty high. 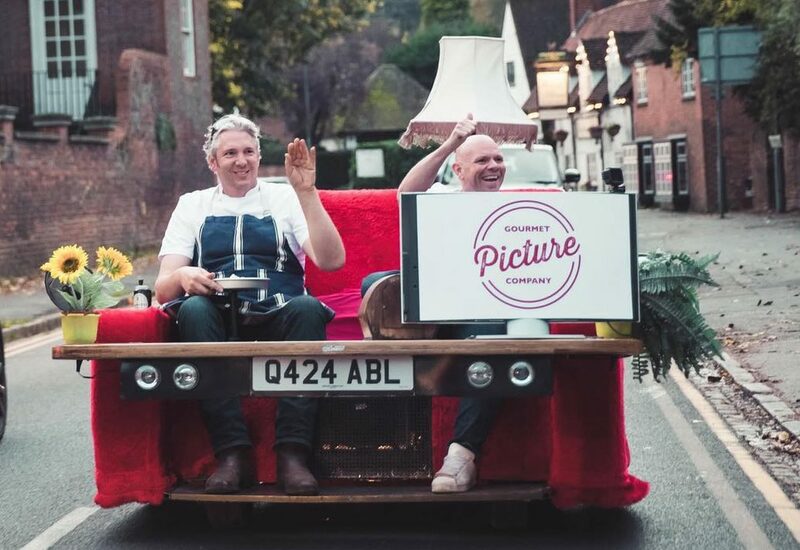 Outdoor cinema and al fresco dining in December – blimey, I hope the heating is cranked up. Anyway it’s 3 days to go until tickets go on sale in this pop up cinema and food festival in Marlow. Tom Kerridge has his hand in the event so it’s bound to be fab. Nellie & Dove doubles in size from Tues 21 Nov! The wondersome women’s boutique Nellie & Dove in Deddington is expanding to include the ground floor of the building, and will be open until 8pm on Tues 21 November for you to have a good nose around. If you don’t know the boutique, you’ll really want to! Read my review here and make a detour to see it – fantastic emerging brands and very cool vibe. 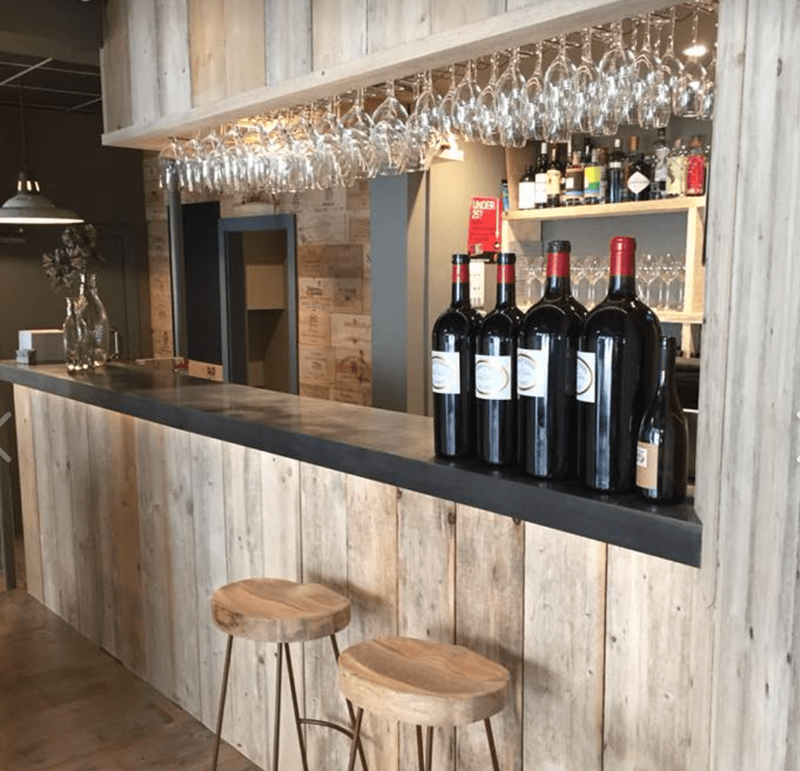 Wallingford has a new wine bar! Mon dieu! Le Clos Bar a Vin wine bar opens officially this Thursday in Wallingford. Owned by Stephane Brun, formerly of the Sweet Olive Aston Tirrold and The Beetle & Wedge in Goring, we’ve already had a gander at the attractive wooden bar with its clean lines and the attractive dark walls and it’s looking mighty fine. No website, facebook page or anything remotely self-publicising yet, so go along from Thursday at 5pm for your first glass of vin rouge. 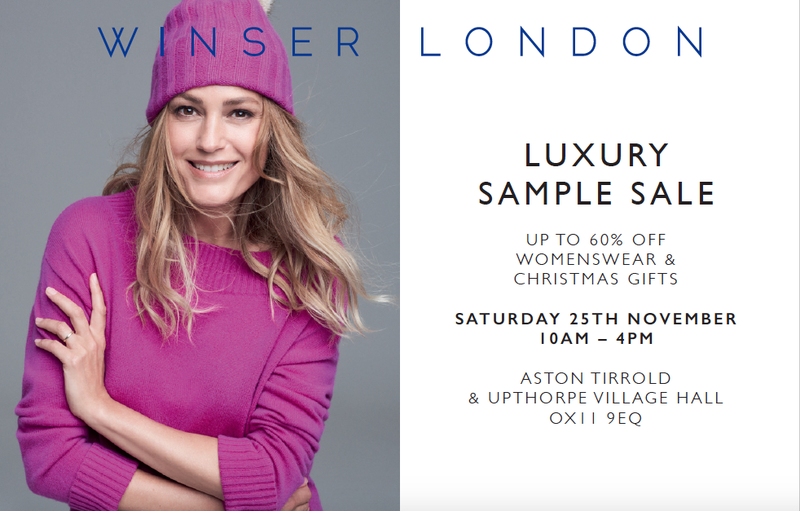 Winser London sample sale in Aston Tirrold! No stranger to the charms of Winser London (I’m a major fan of the trendy workwear, plus I recently did a talk with founder Kim), it’s a whoop from me for this foxy little pop up in Aston Tirrold, near Wallingford, South Oxfordshire, this Saturday. Up to 60% off womenswear and Crimbo gifts. Alternatively if you’re nowhere near, there’s a new Winser London outlet open in Amersham new town to add to the shops in Gerrards Cross and Marlow. More dynamic duo action from Chris Godfrey (ex Michelin star chef of The Sir Charles Napier in Chinnor) and Greg Jones of Native Feasts next month. Long Crendon is a chocolate box village just on the Bucks/Oxon border (close to Thame), and the lodge is set to be decked out with fairy lights, holly and misteltoe. They’re promising a ‘minc pie martini’ which sounds franklly perilous but I dare say will hit the spot, plus artisan wines and beers. 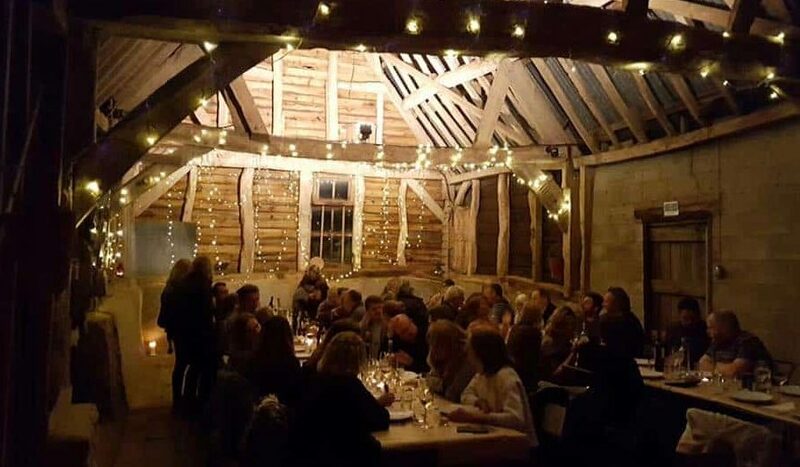 Some of the evenings are already sold out but there’s availability at the time of writing this for Dec 2, 8, 9 and 15 December, Tickets for the supper clubs are £45 for four courses, complimentary ‘winter warmer’ shooters on arrival and ‘pass the Christmas present’. What more do you want, table service by the elves? 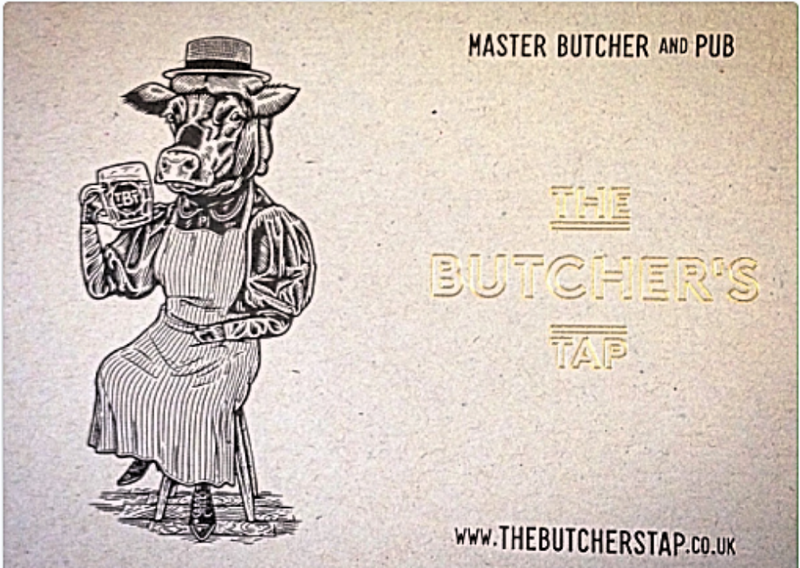 Butcher and pub in the same business? Too righty. This brand new butcher’s shop – opening this very day – also serves crowd-pleasing pub grub by The Hand And Flowers’ Tom Kerridge also pulls the pints by night.